An acidic citrus fruit, such as a lemon or a lime, can be converted into a battery by inserting two 2-inch nails — one copper and one galvanized (zinc) — into the fruit. The amount of electrical current is small, but it's enough to power a light-emitting diode (LED). Prepare the fruit for use as a battery by squeezing it gently, without breaking the skin, to release the juices inside it. Insert the nails into the fruit about two inches apart, making sure they do not touch each other to prevent shorting. A reaction takes place between positively charged ions in the fruit and the zinc metal in the nail, liberating negatively charged particles, called electrons. 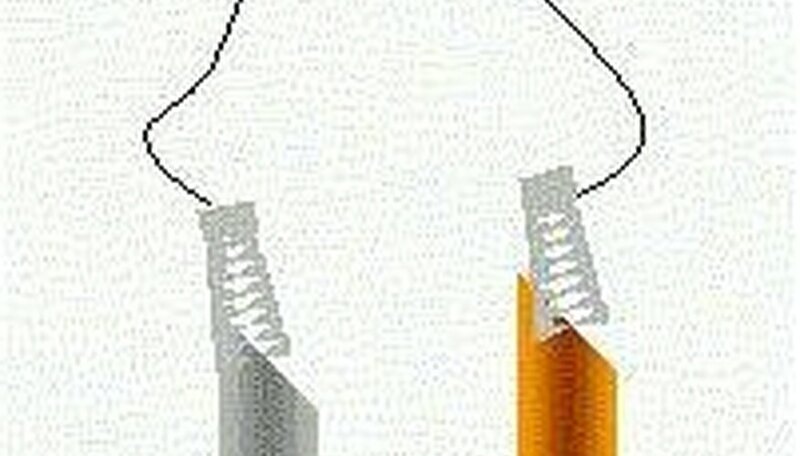 Electrons travel from the positive pole, or terminal, of the battery through a copper wire — each end of which is connected to the nails with crocodile clips — to the negative pole. The movement of charge generates enough electricity to light the bulb. An LED is often the bulb of choice in experiments of this kinds; it requires no more than 2.5 to 3 volts and a small current — in the order of thousandths of an amp, or milliamps (mA) — to operate. Dunning, David. 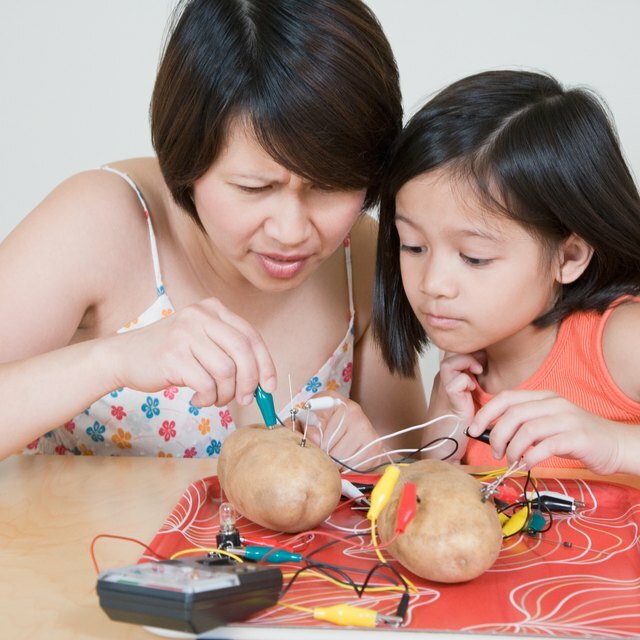 "How Do Fruit Batteries Power an LED Light?" Sciencing, https://sciencing.com/do-batteries-power-led-light-7725781.html. 24 April 2017.